The Occupational Safety and Health Administration (OSHA) requires formal hazard assessments for situations such as confined space work or when a job calls for Personal Protective Equipment (PPE). Conducting a Job Safety Analysis (JSA) is one way to meet these requirements, and to make any dangerous job less risky. The purpose of a conducting and writing a JSA is to better understand the hazards of a particular procedure, so you can take steps to mitigate them. When performed correctly, JSAs also promote better safety communication and engagement among management and employees. With that in mind, we’ve broken down how to conduct a JSA into 6 simple steps, with added tips on how to make your JSAs more effective. A history of past injuries or a high frequency of safety incidents. High potential to cause an injury. Potentially high severity of incidents. Infrequent use and low hazard awareness. New processes or equipment, including recently changed processes. The second step is to take the job procedure under analysis and break it into steps. The best way to do this is to observe an employee as he or she is doing the job, and some people even find it helpful to take video for review. Your goal should be to break it down into manageable chunks. You don’t want it to be so general that you’re omitting key steps, and yet you also don’t want to get so granular that you have too many steps. The general rule of thumb is 10 or fewer steps. Do moving objects or equipment pieces pose a hazard? Is any lifting, pushing or pulling required that might cause strain? Could the employee slip, trip or fall? Are environmental hazards like extreme temperatures, lighting or noise a concern? Are harmful substances such as chemicals, dust or fumes involved? Leveraging Risk Management software makes this step even more effective. You can assess the risk of the procedure as a whole, as well as at individual steps to determine where to focus on controls. Eliminate the hazard: This strategy is the most effective. Potential measures include using a different process altogether, modifying the process or tools, substituting materials and adapting the work environment (such as improving ventilation). Contain the hazard: If you can’t eliminate the hazard, controls such as machine guards or work booths may help contain the hazard. Revise your work procedures: Whenever possible, you should look for ways to modify the procedure to lower its risk. This could mean adding steps or changing them around. Reduce job frequency: If you can’t do any of the above, you should look for ways to minimize how often employees perform a certain job. Distribute copies of the JSA to all affected employees. 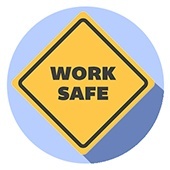 Include safety measures identified in the JSA in employee training programs. Make the JSA easily accessible to workers, whether with hard copies or on your EHS Software. Use the JSA to inform refresher training for infrequent jobs. Periodic follow-up: A manager or supervisor should observe the procedure and compare it to the JSA on a monthly basis. After an incident: Part of the incident investigation process should be a comparison of what happened against JSA procedures. This can help you identify whether you have a gap in the JSA, or whether an employee needs additional training. Process or equipment changes: Whenever you introduce new equipment or processes, or if you revise processes, you need to take a look at the relevant JSAs. When all is said and done, a JSA is only as good as the effort you put into it. If you just check the box, you’re not likely to get results. Follow these steps, however, and you’ll be on a more reliable path to safe work.